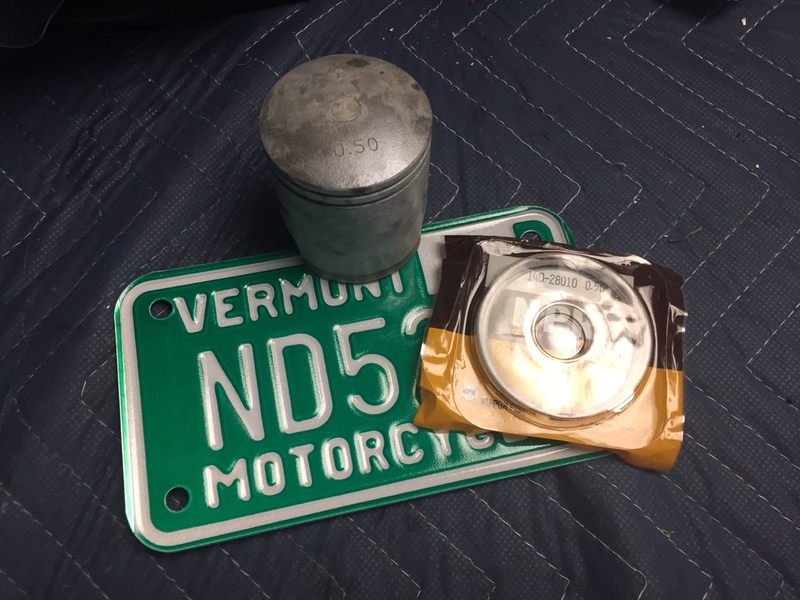 VT plate and 0.50 over piston and rings came in today. Time to ship out the cylinder for boring. Looking good Nick. 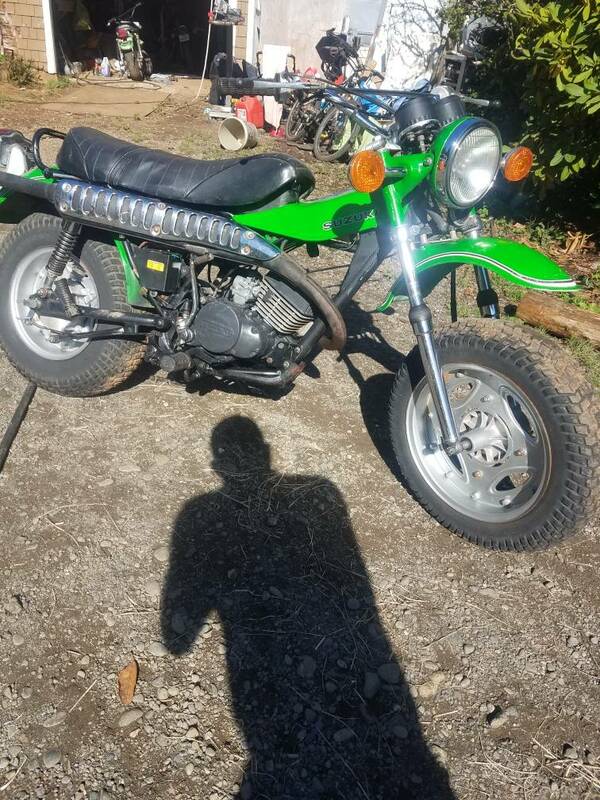 This is a very cool little bike. It got held up for a few weeks with the hurricane and I sent all the hardware out for plating...I have a few more things to paint and then put it all together hopefully before Barber. Do you happen to have a spare air pump?? I got most of my parts from eBay. Piston and ring sets are about $35 from Thailand and my cylinder is getting send up to Ohio for a bore. Mine is the first year with the 5 speed transmission, but my CT104 has the dual range, pretty cool. Both are missing the pumps...i was bummed out. Kickstarters seized on the one working on now. Yep looks good though, mine should look like that after a bit of paint and some assembly. Would you be able to get me some measurements on that battery cover? They are another unobtainium part so I figure I will probably 3D print one.